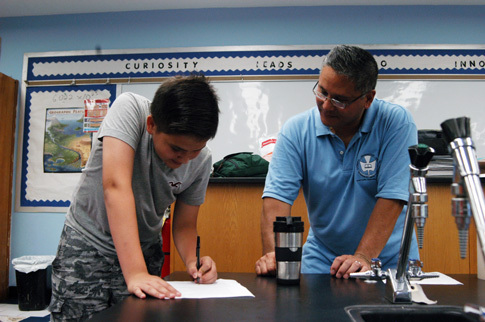 There are new forms up for the 2016 Father Troike Summer Leadership Program. 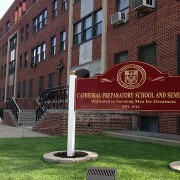 Please go to http://www.cathedralprep.org/troike/ to find the forms and more information. 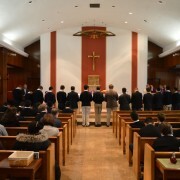 First, the tremendously gifted and humble men that make up our sophomore class – men to whom our Lord has entrusted much. And, second, the reality that these men are always willing to lead and give selflessly to our community. – men from whom, as our Lord says, still more will be demanded. We are proud to recognize these men this morning. Humble, intelligent, genuine, faith-filled, mature, and giving – gentlemen these are all words that have been used to describe you, and we take a special pleasure in acknowledging that they are true today. When any school decides to give an honor or recognition, it takes a risk as much as a reward. The risk is simple – will the honor inspire true growth and a sense of giving back, or will it be used as “just another label” or selfish accolade. I am proud to say that these men have already proven and will continue to prove just how right we are as a school in choosing them as our first ever Junior National Honor Society. Before any accolades, before any induction, they have already given freely and led our school. 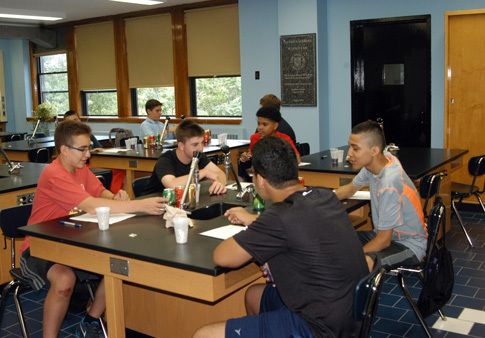 Leading academically by taking on tutoring roles with their peers. Leading spiritually by designing prayer cards for our Ash Wednesday and Lenten prayers. 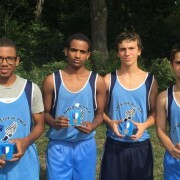 Congratulations to the Cathedral Prep Cross Country Team. 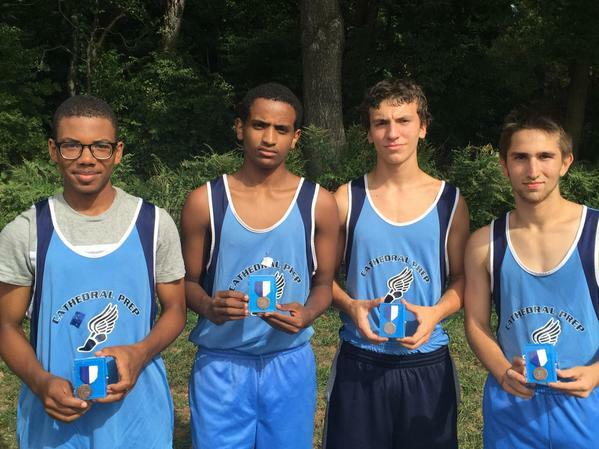 There were several Personal Records and medal winners at the Xavier Invitational. For 48 years, the Father Edward Troike Summer Leadership Program at Cathedral Prep, Elmhurst, has instilled Christian values and fostered leadership qualities in young men, and this year was no exception. The Cathedral Preparatory School and Seminary sent a letter to parents and guardians reflecting on accomplishments of the past school year and an update on what is in store for the 2015-2016 school year. On Sunday, October 4, 2015, please join us as we conclude our centennial celebration. 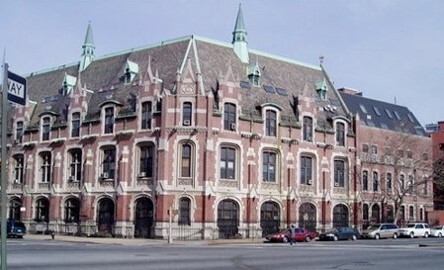 We, alumni and friends of Cathedral, will return to Brooklyn to enjoy a gala event with the Bishop of Brooklyn, Bishop DiMarzio, at Gargiulo’s Restaurant, at 3:00 PM. At this reception, we will honor past and present rectors, priests, and faculty as honorees for the Immaculata Award. A commemorative journal making this noteworthy milestone will be available for well wishes. Gather your classmates, family, and friends to help us celebrate our 100 years in Catholic education. 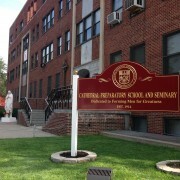 For more information: http://www.cathedralprepalumni.com or call the alumni office at 718-592-6800, ext. 137. We hope this letter finds you well. 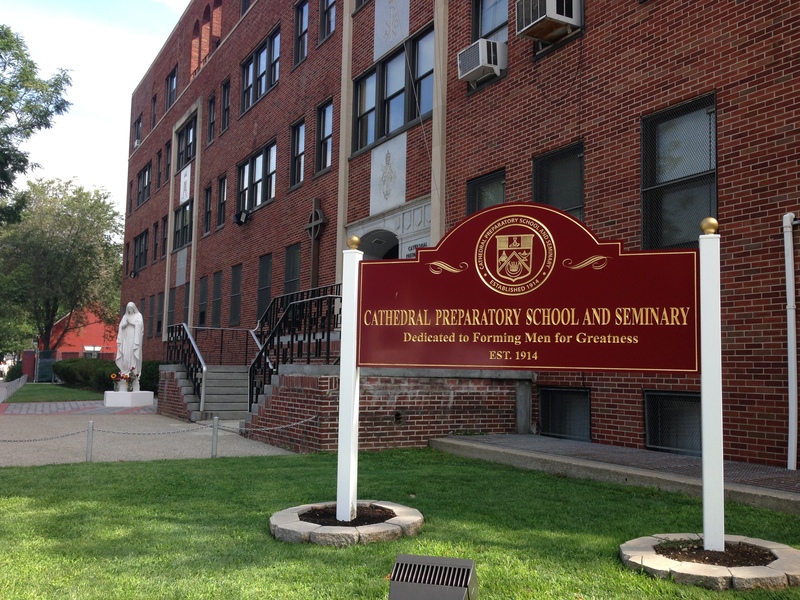 In the spirit of looking forward towards next school year, it is with great pride and sadness that we inform you that Mr. John O’Brien, Assistant Principal, Athletic Director, teacher, and alumnus will be leaving Cathedral Prep to pursue his new role as Principal of Good Shepherd Catholic Academy in Brooklyn. In his nine years of service to Cathedral Prep, Mr. O’Brien has served in many, varied leadership roles, all the while maintaining his genuine spirit, focus, drive, and love of Cathedral. We are proud of him in his new role, thank him for all he has done, will miss him, and we ask that you join us in supporting him in his new endeavor. 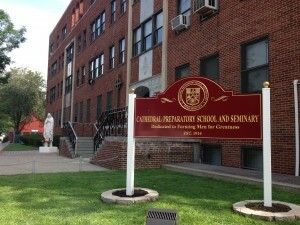 In addition, Mr. Sean DeBiase, teacher and alumnus, will also be leaving Cathedral Prep. Mr. DeBiase will be pursuing further graduate-level studies in Albany, NY. We thank Mr. DeBiase for his one year of service, and wish him all the best in the future as well. We are working diligently with Fr. Kuroly to recruit individuals to teach the affected courses and fill the vacated roles. As always, we thank you for your continued support of Cathedral Prep and our outstanding teachers and staff, and we look forward to another great year in the 2015-2016 school year to come.